Your time is running out to acquire highly-discounted books from the AlzAuthors treasure-trove of eBook titles. Tuesday the 21st will be your last opportunity to do so. 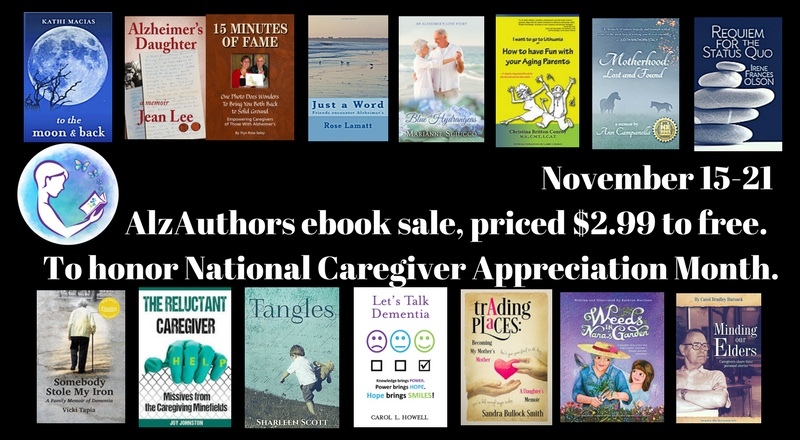 Whether for yourself or gifts, you just can’t beat the prices being offered: Free to $2.99 at the most!!! my heart goes out to all those in the current throes of this life path…been there, done that, too. The “club” membership continues to grow, unfortunately. Thanks for sharing, Irene! So much great information! You’re welcome, Jill. I have the AlzAuthors group to thank for that content. It’s startling information, isn’t it?